When I co-authored the New York Times best-selling book Murdered by Mumia in 2008, the memoir of a Philadelphia police officer’s widow, I never thought I’d still be discussing the case a full 11 years later – 38 years after the murder! But it’s back in the news, and I should not be surprised. On December 9, 1981, at about 4am, 25-year-old Daniel Faulkner was executed while making what seemed like a routine traffic stop. Faulkner pulled over William Cook, who was driving his Volkswagen the wrong way on a one-way street in the city’s red light district. Cook’s brother, Mumia Abu-Jamal was himself then an out-of-work journalist driving a cab. His revolutionary ideas were well-documented. Four eyewitnesses testified at trial as to what happened next. Their testimony portrayed a horrific sequence – one where Abu-Jamal ran across the street, shot Officer Faulkner in the back and finally between the eyes. 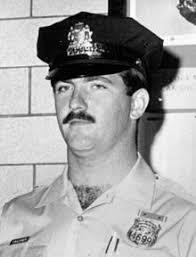 Before that final fatal shot, Officer Faulkner had himself discharged his gun, hitting Abu-Jamal in the stomach. With that bullet, you could say he confirmed the identity of his executioner. When police arrived quickly on the scene, Abu-Jamal was still wearing his shoulder holster. The murder weapon was registered to Abu-Jamal. He’d purchased it at a local sporting goods store. The 5-shot charter arms revolver contained five spent shells. Ballistics tests verified that the bullets found in Abu-Jamal’s gun were the same caliber brand and type as the fatal bullet removed from Officer Faulkner’s brain. So the case had eyewitnesses, a ballistics match, and a confession. Danny Faulkner left behind a young widow, Maureen, who for four decades has stood up to a torrent of lies and misinformation about the case. For reasons that have never made sense, Abu-Jamal was championed by death penalty opponents the world over. Now the case is back in the news. A Philadelphia judge has ruled a state supreme court justice, who himself was a former City DA, should have recused himself when Abu-Jamal’s case came before the high court. As to that new issue, I note that for the Justice at issue – Ron Castille – he didn’t even get to the Supreme Court until 1994, and there is no evidence that he was biased against the defendant and he never cast a deciding vote on the case. In other words, if he had recused or had not shown up to vote, the result would have been exactly the same. Without him, there would have been an overwhelming majority to affirm even without Castille’s supposedly-biased vote. Abu-Jamal’s brother, William Cook, saw it all. It was his car stop that set in motion the chain of events. His words to police upon their arrival were “I ain’t got nothing to do with it,” and he has never testified on his brother’s behalf. Let me say that again: the brother of the man convicted of killing the cop himself never took the stand to tell a different story and he was there. Think about that as the case is again debated in public.